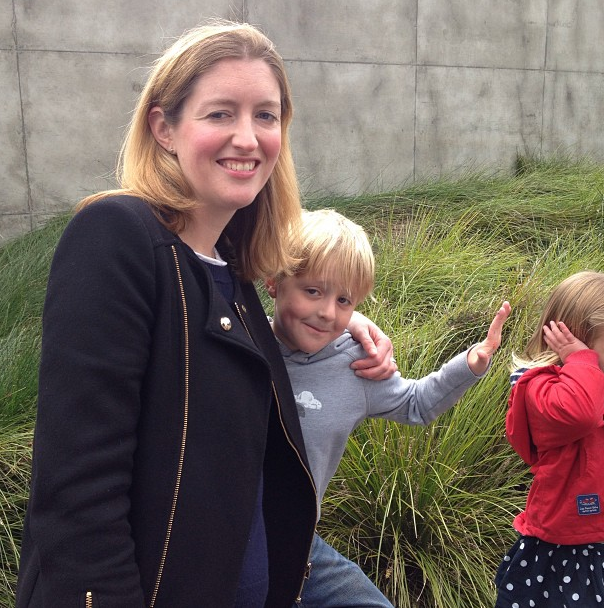 Last month at our ShopUp event, I had the pleasure of meeting fellow London mum, Louise Hannon. We started talking about children and life in London, and she told me her incredible story about her son’s illness, his life-threatening surgeries at Great Ormond Street Hospital and his heart transplant through organ donation. We spoke about organ donation and how important it is to spread the word about it. Did you know that, according to statistics, more than 90% of us would consider donating our organs and yet, here in the UK, only about 30% of us are registered? It all comes down to spreading awareness. Here in the UK, more than 10,000 people need a transplant and three people die every single day waiting for one. In the US, there are more than 120,000 needing a transplant and 17 people die each day waiting for an organ. Also, one organ donor can save up to eight lives! 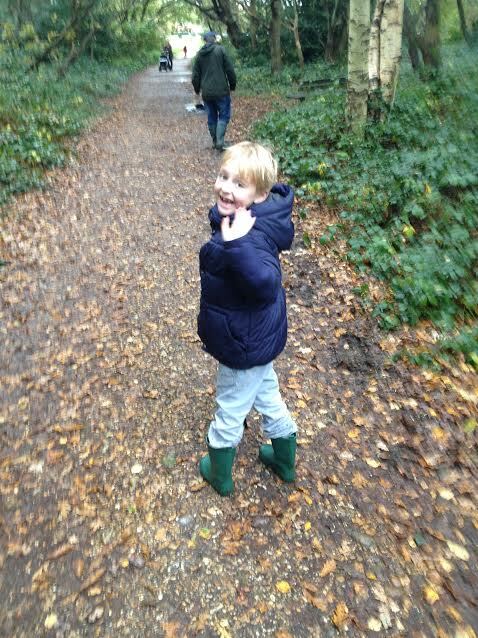 On 28th January 2014, my six-year-old son Joe had a life saving heart transplant at Great Ormond Street Children’s Hospital. This was due to the amazing generosity of a lady who, through organ donation, chose to save other’s lives in the event of her death. Up until summer 2013 he had been a non–stop little boy, full of energy, who loved being outdoors, playing football and climbing trees. We had just moved to South Australia when he suddenly became unwell, and Joe received a diagnosis of ‘Dilated Cardiomyopathy’ – serious heart failure that would most likely require transplant in order for him to survive. We were utterly devastated and struggled to deal with the news especially being on the other side of the world away from friends and family. Calling our parents back in the UK to tell them the news was incredibly hard and the first of many difficult phone calls we had to make to them over the following months. After a month in Adelaide Women’s and Children’s Hospital Joe was repatriated back to London in a medical jet in the hope that he would receive a heart transplant more quickly in the UK. However, Joe’s heart transplant did not come as quickly as we had all hoped and he continued to decline despite the maximum IV drugs he was on. It was frightening to see how quickly his heart was giving up and the effect this had on him as he lost huge amounts of weight and would lie listlessly on the bed unable to really talk to us. We were desperate to get the phone call each day to say a heart was available. We were also aware though that when a heart did come that meant a family somewhere else would be experiencing tragedy and this was such a difficult process to reconcile ourselves with. 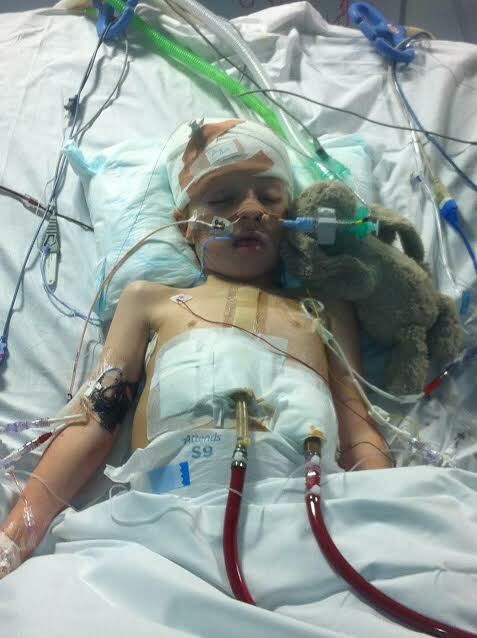 We were told his only option now was to undergo open heart surgery for a ‘Berlin heart machine’ to be fitted to keep him alive until transplant. He had a number of serious complications whilst on the machine requiring further surgery including pneumonia and bleeding into his lungs. There was a huge amount of uncertainty as to whether he would pull through and we literally held our breath for weeks willing him to fight and get better. Our four months in intensive care was an awful experience of watching him suffer horribly. I naively hoped that, though unconscious, he wouldn’t suffer pain. I hoped that it was only us suffering as we watched and waited to see if he would recover. The reality was that he was often conscious and very distressed, unable to speak or swallow due to the breathing tube in his throat. We would watch him cry and feel completely helpless. This was the hardest part of the entire ordeal. His biggest complication arising from the Berlin heart machine was the severe stroke he suffered on Boxing Day, 2013, which is one of the most significant risks associated with the Berlin Heart machine. After the first brain surgery to relieve the bleed in his brain we were told he would not survive and we asked my parents to bring our three year old daughter up to the hospital to say goodbye. They operated for a second time as a last ditch attempt and he miraculously survived, but was left paralysed down his left side. A heart finally became available a month later and Joe had his long awaited transplant. We then began the arduous road to recovery, involving rehab to help him learn to walk again and use his left arm. Joe spent a total of six and a half months in hospital, enduring thirteen operations and a further six weeks in a children’s neurodisability rehab centre. 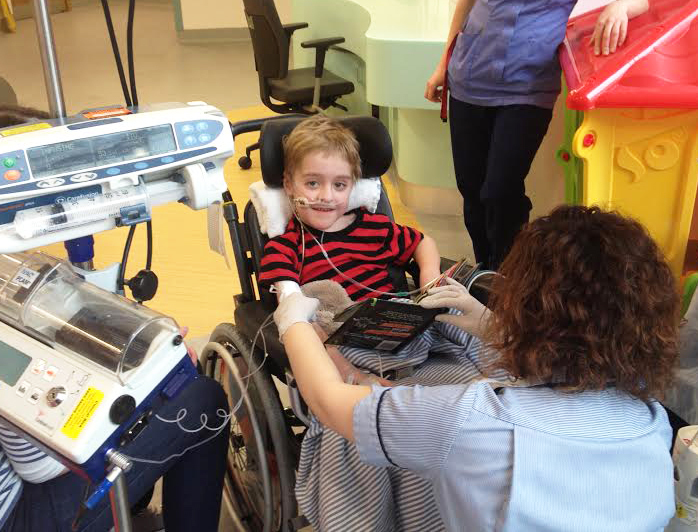 He is truly a living miracle and we are hugely proud of all that he has battled through at such a young age. We are slowly coming to terms with what has happened to our family in the last eighteen months and the far reaching effect this has had on all our lives. We never thought something like this would happen to us. We had coasted along in life ticking off our plans for career, children, and travelling, believing we were in control of our lives and future. As Christians, this experience has taught us we need to rely on God who is the only one who has ultimate control and it has been a hard test of our faith. Please consider signing up online for organ donation, for yourself and your children that in the unfortunate event of an untimely death, a second chance at life for others can be brought out of tragedy. Signing up for organ donation costs nothing but could mean everything to another family facing their worst nightmare. To read more about organ donation and to sign up in the UK, click here. To sign up for organ donation in the US, you can click here. For international registry, click here. 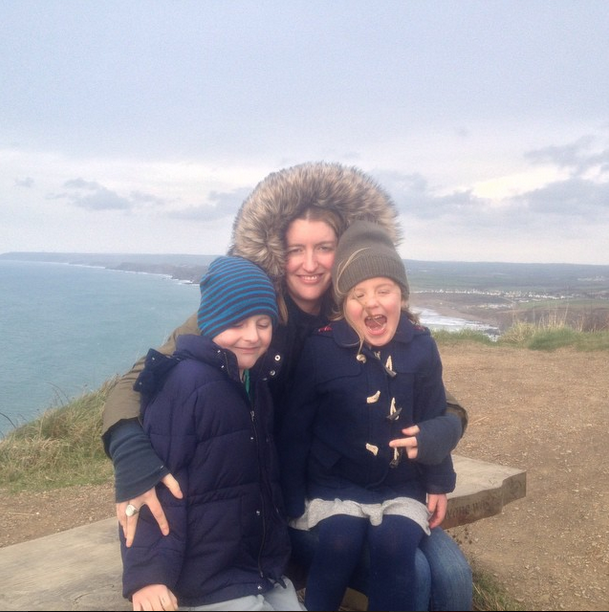 Louise, thank you so much for sharing your story with us, and we wish you all the best with your two beautiful children. Thank you so much for sharing your story with us Louise. I am a donor, it is so important. In some countries (like Spain, Belgium, France) citizens are a donor automatically unless they actively decide differently. I think this is a great system, and I wish the NLs and the UK would implement this law as well, I’m sure it would hugely increase the number of donors. I’m sure most people would like to be a donor, they just forget about filling out the form. lots and lots of love, health and happiness to you and Joe and your family, Louise! 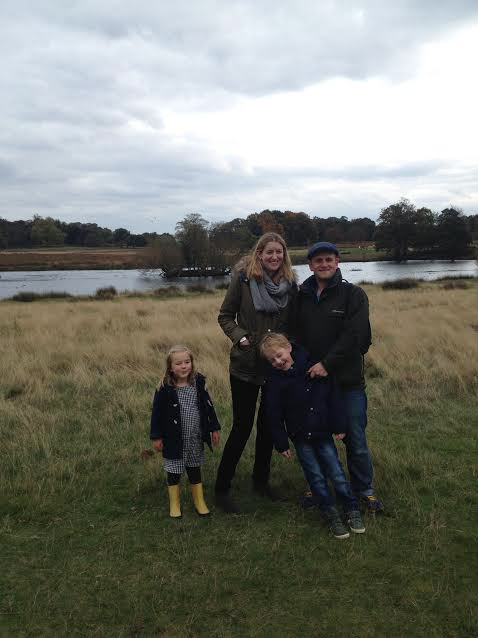 Thinking of you a lot, what an heart breaking story – we also were in Great Ormond Street hospital 2 years back with our little one for an open lung surgery and that has been quite of a journey so all our thoughts are with you. It’s very refreshing that the Babyccino blog is covering a serious story like this as it’s not all sweetness and light in the real world. My daughter died six days after being given a bone marrow transplant at Great Ormond Street. Seven months after her death we discovered she’d been misdiagnosed and didn’t need the bone marrow transplant that killed her. She was also most probably cured of her actual illness prior to transplant. Not a day goes by when I don’t think of the needless suffering she went through. We miss her terribly and our lives are irreparably changed forever. I wonder if Babyccino would ever tackle the subject of child bereavement….???? Thank you so much for your lovely comments and I am over the moon Nicola that you have signed up! Totally agree with you Esther that the opt out system is so much better. It still gives people choice which I think is absolutely right but scoops up all those who would like to be a donor but don’t get around to signing up. There is a campaign on change.org to make the switch in the uk to this. Thanks for sharing your story with us, it has really opened my eyes to something I was not aware of. What a transformation organ donation can make to a family..I have signed up and hope many more people will do too..
Kelly just read your comment and so sorry to hear of the truly awful experience you’ve been through. Can’t imagine how you begin to go about coping with losing a child with the knowledge also that her death was needless. I think bereavement and end of life issues are still not talked about openly enough in our society. Probably because those of us who it doesn’t directly affect understandably want to avoid engaging with this- I say that because that was me up until a year ago! Thank you for sharing this amazing story. Back in 1968 my mother donated one of her kidneys to my younger brother David. It was a scary event for our family, as organ transplants were very much in the experimental stage at that time. My mother gave birth to my little brother John in Dec. of 1967. The transplant took place Aug. of ’68. We found out shortly after the transplant that my mother was pregnant with my brother Stephen. My brother David subsequently has had two more transplants. He is 62 years old and quite healthy. Our family needless to say is so grateful for donors and their families. Thank you for your lovely thoughtful blog.